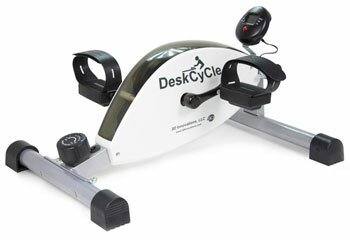 Does The Low Profile Of The DeskCycle Mini Exercise Bike Help It To Stand Out? Desk cycles are growing in popularity as a way of getting in some basic exercise and brands are competing to provide the best model, with the DeskCycle Mini Exercise Bike being heavily promoted as the top of the class. This model uses magnetic resistance – which they rightfully say is a mark of high quality – with twice the range of some competitors and a display for progress. The main aim here is for a smooth pedal motion that promotes joint health but also for a simple, functional device that does not get in the way of work. Can this product offer the best of both worlds?